https://conversionfanatics.com/healthandwellness cheap generic viagra Professor Jim Miller — a featured speaker at the Wednesday, Sept. 5 meeting of the La Mesa Foothills Democratic Club — will talk about the effect of Lincoln Club actions both on local races (i.e. Photoshopped hit pieces on the Alvarez mayoral campaign) and on California and national campaigns. click here Think of the Lincoln Club as the “dirty tricks” right-wing operatives for any local campaign, able to throw unlimited amounts of money behind the candidates or propositions they think best represent their corporate interests, and hit pieces against opposing Democrats and progressive candidates and ballot issues. What exactly is the “shadow government” that the Lincoln Club and their minions perpetuate? What other examples are there in recent elections? What’s their success rate and their most obvious recent failings? Miller will also talk about how labor unions and pensions are affected by Lincoln Club activity and how their money and influence stack up against each other. What can we expect the Lincoln Club to do in the upcoming November election? How is the Trump effect intertwined with Lincoln Club actions, if at all? What can we do as progressive political activists to counter the Lincoln Club and their nefarious strategies? Is there a future in San Diego County where the politicians will work solely for the community benefit and real solutions, and not the dictates of the very rich and corporatocracy? Joining professor Miller will be the ultimate political underdog, who garnered nearly 45 percent of the vote in the June primary election for county sheriff, Dave Myers. 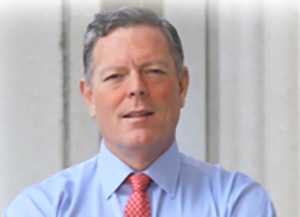 Myers battled the nine-year incumbent Sheriff Bill Gore on nearly equal terms in an election that sent shockwaves through the San Diego political establishment. A justice reform candidate, Myers is a 33-year veteran of the Sheriff’s Department and rose to the rank of commander before retiring this year. He is a LMFDC member, a La Mesa resident, and took the brazen step of coming out as a gay man while serving in the traditionally conservative law enforcement community for over three decades. 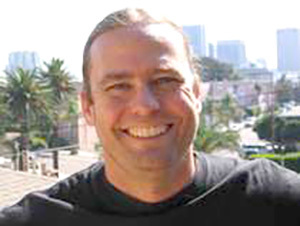 Born and raised in Allied Gardens, Myers has a unique perspective of the social inequities and “good old boys” network that perpetuates the criminal justice system in San Diego County. Unfortunately, Myers now says, his ideas were generally met with resistance. Disappointed doesn’t begin to describe how Myers feels about it, given his extensive track record in practically every law enforcement position you could hold. He’s worked in the field, the jails, on homicide investigations, on border-crime issues, and oversaw security in the county’s handful of courthouses and also special events. Come hear Miller and Myers speak on Wednesday, Sept. 5, at the La Mesa Community Center, 4975 Memorial Drive, La Mesa starting at 6:30 p.m. For more information, visit lamesafoothillsdemocraticclub.com. — Tina Rynberg is president and Jeff Benesch is vice president of programming for the La Mesa Foothills Democratic Club. Reach them at jeffbenesch@gmail.com.